Playing a Swamp after Mutilate? how does targeting work with cards that affect multiple creatures? All creatures get -1/-1 until end of turn for each Swamp you control. Both Cabal Coffers and Cabal Stronghold can greatly ramp you so you can activate more abilities in a turn. Dictate of Erebos is a staple. Any tutors help the consistency, Diabolic Tutor , Demonic Tutor , and Vampiric Tutor . You need ways to wipe the board if one of our opponents gets out of hand, I like Mutilate and Killing Wave (both get around hexproof and indestructible). I like Reprocess with Shirei because it is free card draw. First, Blood Artist does not cause damage, it causes loss of life. Damage is always "loss of life", but "loss of life" is not always damage. This is an important distinction that comes up a lot in Magic--for example, Healing Salve can prevent three damage, but it cannot negate "lose three life." That is not relevant to your question, but it comes up enough and you used the wrong term, so I figured I would point it out. Second, each instance of Blood Artist is its own trigger. Rather than assigning 40 points of life loss in a lump sum from Blood Artist , you are actually assigning 40 separate instances of "lose 1 life." This will be important moving forward. Now, let's look at the stack. I assume it is Player A's turn, since they are casting a sorcery. There are ways to cast sorceries at instant speed, and that could influence the answer some. I am also assuming Player B is the next player; Player C is the player after; and player D is the final player. I will go through the stack point by point. Player A casts Mutilate . The stack now has Mutilate on it. Player B activates Mirage Mirror to copy Blood Artist while Mutilate is on the stack. The stack now has Mutilate on the bottom; Mirage Mirror 's ability on top. Player B's Mirage Mirror 's ability resolves first, as it was the last item on the stack. Player B now controls a Blood Artist . Mutilate is now the only item on the stack. Mutilate resolves, and all creatures get -1/-1 for each Swamp Player A controls. To make this easy, I am changing the numbers a bit--there are 38 non- Blood Artist creatures on the board; Player A's Blood Artist , and Player B's Mirage Mirror that is, at this time, also a Blood Artist . Let's also assume all the creatures die. Simultaneously A's Blood Artist and B's Mirage Mirror - Blood Artist will trigger. Both will see all the other creatures that die simultaneously with them, so both A and B will have 40 Blood Artist triggers they control. When simultaneous triggers go on the stack, they are placed in Active Player, Non-active Player Order (APNAP Order). Here, A, as the Active Player, will put all their triggers on the stack first; Player B will put all their triggers on the stack second. (still really part of 5, but I broke this up to make it a bit more clear). At the time the triggers go on the stack, Player A and B will have to choose targets for each of the triggers independently. So, A can assign 20 triggers to B, 10 triggers to C, and 10 triggers to D (we will call these A-20-B; A-10-C; and A-10-D when we talk about the stack). B can do the same thing (B-20-A; B-10-C; B-10-D). They will then have to arrange the triggers within their order. So, taking 5 and 6 together, the stack looks like this. A's triggers are on the bottom of the stack because A was the active player. So, the stack order might look like this: A-20-B at the way bottom; A-10-C; A-10-D; B-10-C; B-10-D; B-20-A at the top. Each instance of these triggers will resolve in order. So, with the order above, 20 of B's triggers against A will resolve first. A will lose 20 life, B will gain 20 life, and A will lose the game as a state-based action once the 20th trigger has resolved. When a player loses the game in multiplayer, one of the effects of their losing is that anything they have on the stack ceases to exist (Rule 800.4a). As such, A's triggers will all vanish. The stack now only has B-10-C at the bottom; B-10-D at the top. B-10-D will all resolve killing D. B-10-C will all resolve, killing C. B wins the game (with a total of 60 life). Player A has a Blood Artist in play. There are 40 creatures on the board. Player A then casts Mutilate . The Mutilate is enough to kill all 40 creatures on the board. In response to Mutilate , Player B copies Player A's Blood Artist with Mirage Mirror . Player A has 20 life. Player B has 20 life. Player C & D have 10 life. Player A and Player B both want to assign the 40 points of damage from Blood Artist to kill all other players. For instance, Player B wants to assign 20 points to Player A and 10 each to Players B & C. What on Earth happens?? Does Player B win because their Mirage Mirror Blood Artist is on top of the stack, or does something else happen?? Expedition Map can help you find Urborg or Cabal Coffers if you are missing one of the two. If you are looking for more consistency Beseech the Queen is a nice 3 Mana tutor and Diabolic Tutor get's the job done aswell. You seem to be rather light on card draw. A couple card's I'd recommend are Geth's Grimoire and Syphon Mind which would stay on theme. 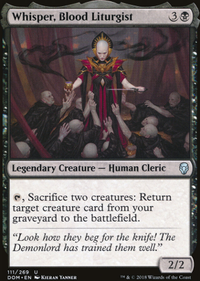 Dark Impostor is another removal spell on a stick that exiles the creature it targeted as well as gains its activated abilites, all for low CMC and low $. Same goes for Drana, Kalastria Bloodchief but she powers herself up for a quicker kill. Guul Draz Assassin and Big Game Hunter also fit into this category. 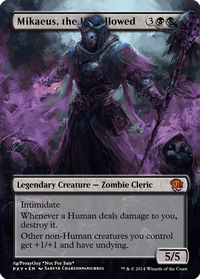 For single target kill spells: Sever the Bloodline is a bit overcosted for most targets but is a pretty good token killer, Price of Fame is cheap enough if targeting opposing commanders and lets you dig through your library looking for answers. Tragic Slip is low CMC and can be a way around indestructible. 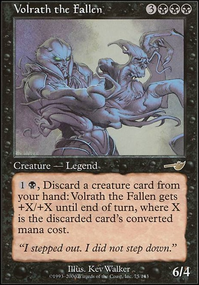 For mass removal, Mutilate and Black Sun's Zenith are inexpensive options. Nevinyrral's Disk can wipe the board of both artifacts and enchantments which black flat out has no real way to directly deal with. For some additional artifact ramp: Charcoal Diamond , Mind Stone , Worn Powerstone , Hedron Archive Unstable Obelisk with the Obelisk doubling as 'hit anything' removal and the Stone and Archive being some card draw as well. ...which leads into more card draw: Phyrexian Arena for steady card draw, Necrologia for that rush of cards. 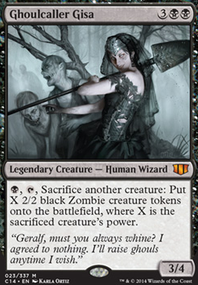 For mono black Cabal Stronghold is a cheap option to gain extra mana late game. I didn't price check everything listed above but nothing there should be too outrageously priced. 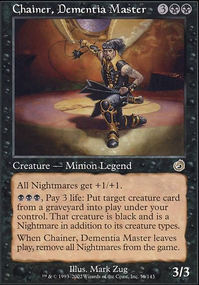 I would run it mono black and swap Path of Exile for Dismember . But it looks like you are keeping white for sideboard stuff.